It's time again for The Challenge! Another beautiful card, Kimberly! I love the pop of red on the birds. Stunning! You're just killing me with the stencils. I get so caught up in them - zooming my nose up to the screen for a better look that I have to remind myself to back up and take it all in. Love the bright bold colors - and of course that wonderful background! so glad you got those branches, they are lovely! Gorgeous! Love all the layers and shading! Wow, so awesome! 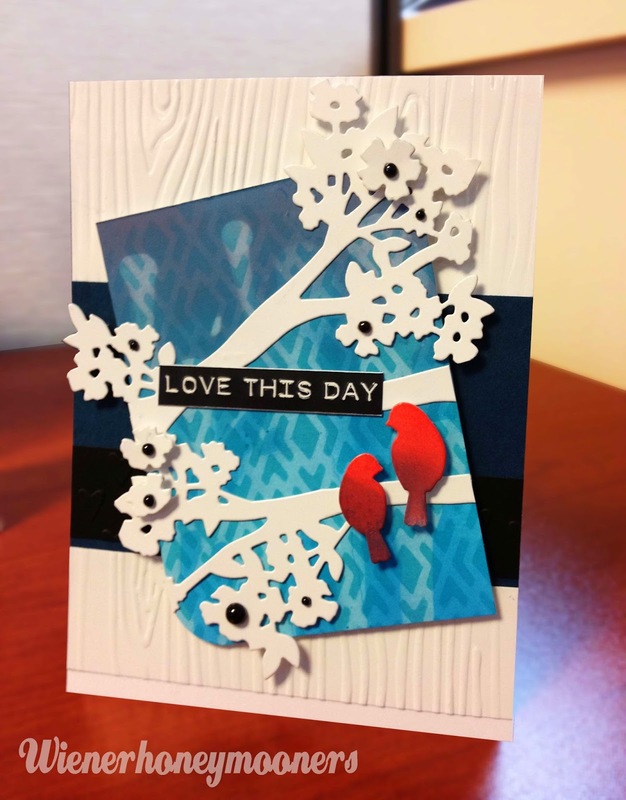 Love the die cuts and the bold feel of your card, Kim! Gorgeous! 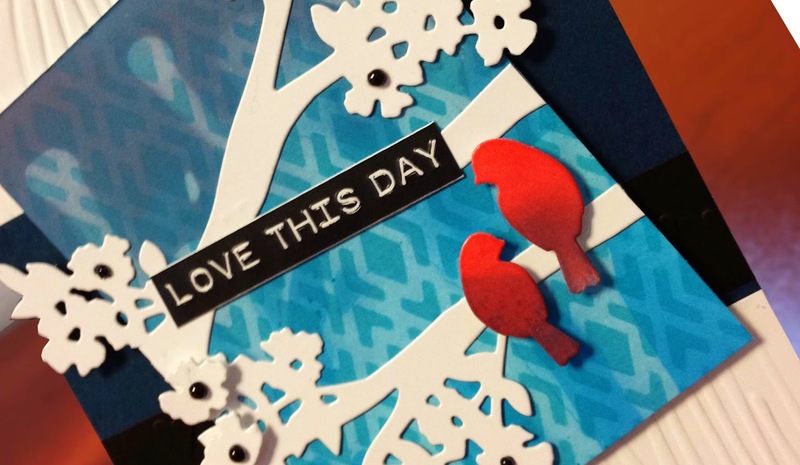 Love the way the red birds pop against the blue stenciled background. Fabulous design. Your attention to detail really pays off here. A beautiful creation, Kim. I PROMISE not to stay away for so long the next time. I feel like I've missed so many pretty things! You inspire me. Thank you for that. What a lovely little scene...the red birds are precious! 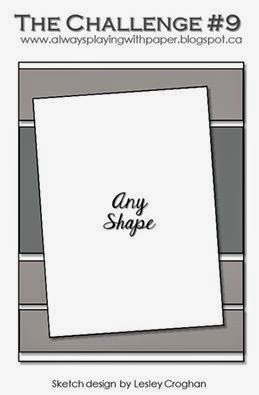 Fabulous card, I love the colours and layers. Oh yes! That would be awesome!